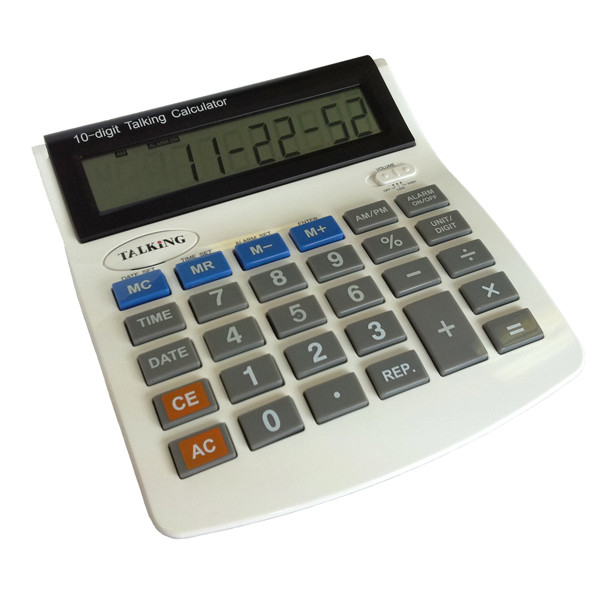 Great calculator and talking alarm clock for the blind and the visually impaired. All digits and functions entered, as well as calculations, are read aloud to you to ensure accuracy. Features time announcement at the touch of a button plus audible alarm. Voice volume is adjustable: choose high or low, or turn sound off. Oversized 5-1/2-in. x 1-1/8-in. LCD Display for easy viewing. Note: Talking function is for calculator and clock/time announcement only, not the calendar. The date is displayed on the LCD. Uses AA Batteries (not included).